Micromax and Indian telecom MTS have together launched new Micromax Canvas Blaze, an EVDO + GSM dual SIM Smartphone in India. 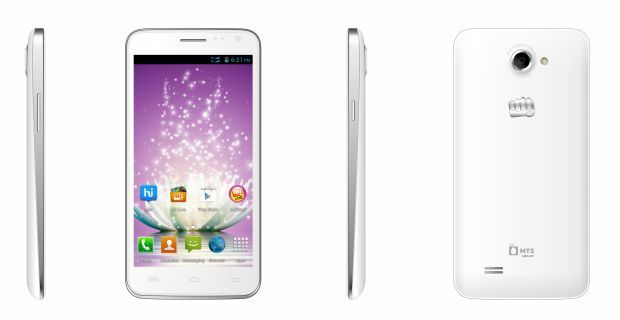 The Canvas Blaze is made for young tech-savvy internet generation, it has a 5-inch display, 1 GHz dual-core CPU with integrated EVDO and a GSM modem. The phone runs on Android 4.1.2 Jelly Bean. And comes with an attractive bundled offer from MTS offering FREE Data and Voice benefits for 6 months from the date of purchase. The phone comes with 8 MP rear camera with flash, VGA front camera and 1850 mAh battery. The Smartphone comes with gravity, proximity and light sensors providing enhanced user capabilities. The phone cost you around MOP of ₹ 10,999 and comes with 2 GB Data, 1000 min for MTS to MTS local calling and 120 min for other local and STD calls (applicable per month for 6 months).